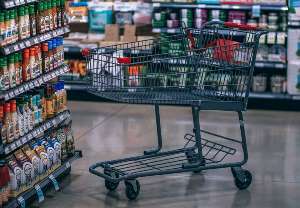 According to a report from the United States Department of Agriculture, the average four-person American household spends around $140 to $300 on groceries per week. If you are one of the families who spend more than the national average, here 6 apps that will help increase your savings on your weekly grocery shopping – from apps that offer cash back rewards and coupons, to apps that will find you the lowest prices and best deals. And the best part? They are all FREE! Some even offer sign-up bonuses. First on the list is a leading national money-saving source that has a krazy amount of coupons offered – a hand-curated database of over 4,000 free grocery coupons both printable and not, from your favorite stores like Target, Walmart, Costco, Wholefoods and more. With its search feature, you can just type in a keyword to easily find a coupon for a specific brand or item on your grocery list. This company has a long-standing reputation for giving cashback on your online purchases. You don’t get discounts or deals upfront but if you shop through their site, you get up to 25% cash back. Signing up is free and Ebates works with 2,000 retailers including Walmart, Target, Macy’s and so much more. Here, you’ll find all sorts of savings options – printable coupons, coupon codes, cash back offers and loyalty coupons. It’s a coupon service that isn’t just about groceries and household items, but also a source for all things savings, both online and on brick and mortar stores. Here’s an online platform dedicated for users to find deals and earn rewards on grocery purchases. It has over 70,000 participating stores and has a weekly “Healthy Offer” feature where you can save on fresh produce and other healthy grocery items. To redeem offers, just scan your loyalty card at the grocery store upon checkout (which you will be linking to your SavingStar account after registration). For stores without loyalty cards, don’t worry because you can simply take photos of your receipts and submit them to SavingStar. All rewards are automatically added to your account which you can cash out to your Paypal or bank account, or in exchange for gift cards. This app will not just help you out with your budget, but will organize your grocery list too. 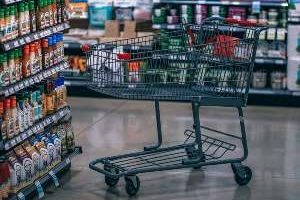 Here, you can build your grocery list, including product quantity, package size, etc., by simply scanning the barcode of the product or using its predictive search feature. After that, the app will locate you to the nearest store with the best price, including deals and coupons that you can use. And that’s not all, GroceryIQ will organize the items on your list according to the arrangement of the aisle so you can easily navigate the store and do your grocery shopping efficiently. Lastly, this app is similar to the one mentioned above. Favado is a grocery savings resource to help you find the lowest grocery prices and best overall deals. It’s also integrated with Cellfire to give you instant coupons that you can use for more savings on your purchases.